Catchick Moses, an Armenian, bought a printing press and appointed Robert Carr Woods as an editor. On the morning of Jul 15, Robert Carr Woods single-handedly edited and published the first issue of the Straits Times and Singapore Journal of Commerce which was printed on a hand press at a godown in Singapore. It was an eight-page folio-sized paper, published every Tuesday with circulation of less than 200 copies. The price was 10 cents. Woods turned the Straits Times and Singapore Journal of Commerce into an afternoon daily, changing its name to the Daily Times. Daily Times reverted to being the Straits Times. The Straits Times Press was converted into a private limited company, The Straits Times Press Pte Ltd, capitalised at $100,000. The days of the proprietor/editor were over. The Procurer in Singapore of the Roman Catholic mission became the largest single shareholder of the Straits Times Press Pte Ltd. The Straits Times Pte Ltd moved to its own permanent purpose-built premises at Cecil Street, Singapore. Alexander William Still was appointed the Straits Times Editor. Under him, the Straits Times earned a reputation as “The Thunderer of the East” with circulation figures of 5,000 a day. George William Seabridge, who took over from Alexander William Still, increased the size of the paper to 24 pages, changed the format, and enlivened it with pictures, cartoons and caricatures. This was possible with the introduction of two Duplex presses. The presses could fold two eight-page newspapers sections at 5,000 copies an hour. The Straits Times Press opened an office in London for editorial and advertising services. 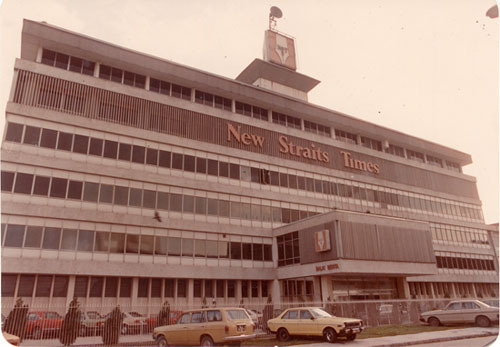 In March, The Straits Times Press Pte Ltd opened its first office in Federated Malay States (FMS) at Market Square, Java Street (now Jalan Tun Perak), Kuala Lumpur. The Straits Times copies were carried by mail train for distribution in Kuala Lumpur and Penang. 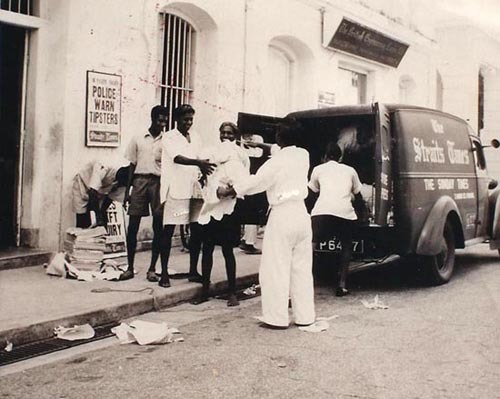 In July, the Straits Times Press Pte Ltd invested in the first of a fleet of Morris Minor vans to expedite deliveries upcountry. 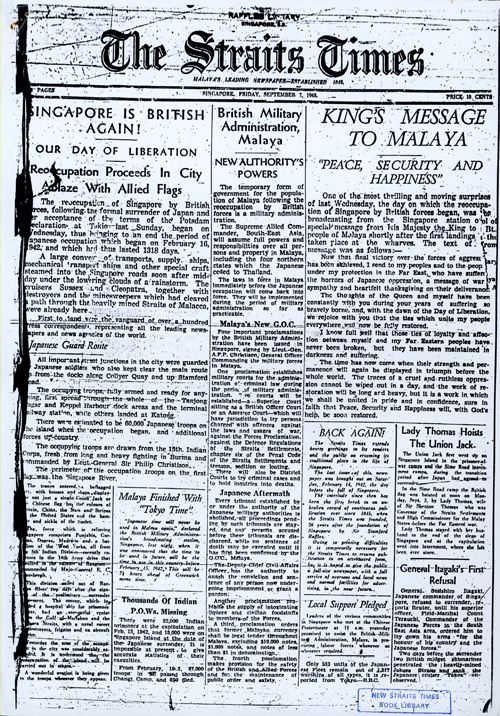 On Dec 20, Malaya’s first Sunday newspaper, the Sunday Times, was launched with a circulation of 10,000. It was printed in the early hours of Sunday morning, for delivery in Singapore and Johor Bahru in time with morning tea, and rushed upcountry in the company’s vans to reach Malacca by mid-morning, Kuala Lumpur by noon, and Ipoh by 6:00 pm. 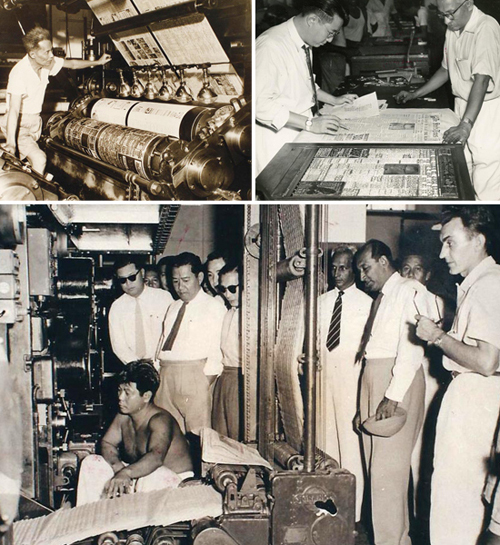 At the end of 1931, the Straits Times Press Pte Ltd expanded premises and plant facilities and installed the first rotary printing machine. 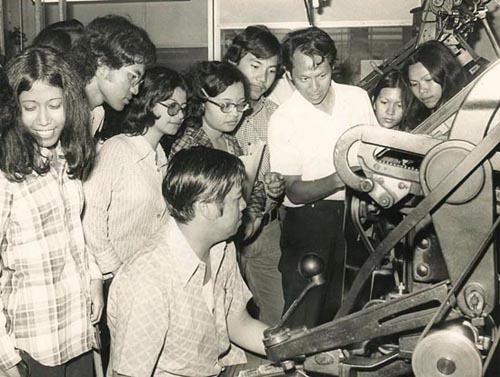 A new era in the local paper industry began when the first Crabtree rotary letterpress machine in Southeast Asia was installed in the Straits Times Press printing office at Cecil Steet, Singapore. This printing machine was built by R.W. Crabtree of Leeds, and was designed to print and fold a 24-page newspaper at a rate of 30,000 copies an hour, which is six times the speed of the Duplex. A linotype casting machine was used to produce the text line by line, assembled onto galleys to form a column of text, then assembled to compose the pages. Illustrations were produced on thin plates and placed in appropriate positions on the composed page. The page was subsequently sent to a hydraulic press to produce a flong (a fine mould of the composed page) to cast a curved stereo plate. The stereo plates were then mounted onto the plate cylinders of the printing press. First delivery of The Sunday Times to Kuala Lumpur and Penang by air. 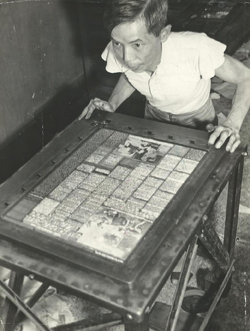 The Straits Times became the first newspaper in the Far East to print colour advertisements on newspaper rotary printing machines. Japanese invasion of Malaya. Readers read the last wartime issue of Sunday Times on Feb 15, 1942. From Feb 20, the Japanese used the Straits Times printing operations to publish the Shonan Times. Local Straits Times staff continued to work under Japanese directives, but many of their British counterparts ended up in internment camps around Singapore. The Straits Times resumed publication on Sep 7 as a morning newspaper. The Sunday Times resumed publication on Sep 23 with a four-page issue. 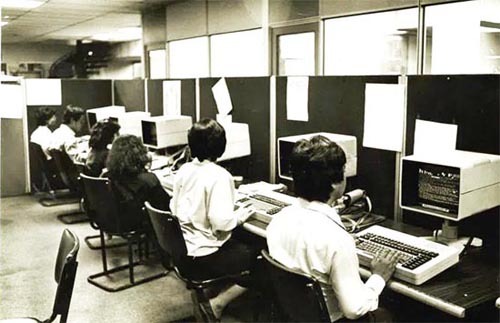 In November, a teleprinter was installed to link The Straits Times Press headquarters at Cecil Street, Singapore with the Kuala Lumpur branch office. The service was later extended to Ipoh and Penang. 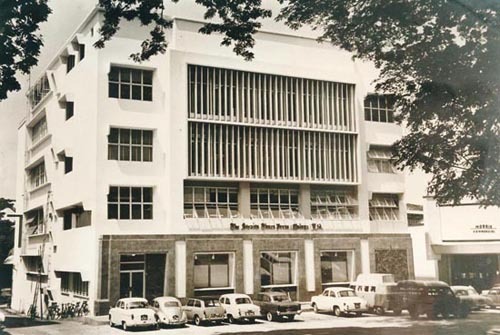 The Straits Times Press Pte Ltd became a public listed company on May 11, 1950 with an issued capital of $1.44 million, quoted on the Singapore Stock Exchange. The Straits Times Press Ltd took over the Kuala Lumpur-based The Malay Mail, the pioneer newspaper in the Federated Malay States which was set up by H.M. Robson in 1896. The Straits Times Press bought a new Crabtree rotary press to be installed at Cecil Street, Singapore. The press was the most modern in Southeast Asia, at a cost of $500,000. The new press could produce at a speed of 40,000 copies per hour for a 24-page newspaper. 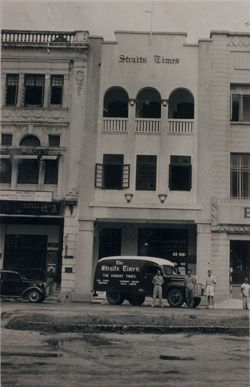 The first Malayan edition of the Straits Times was printed at Robson House, Pudu Road, after the company acquired The Malay Mail from J.H.M. Robson. The Straits Times Press Ltd launched the first romanised Malay newspaper, the Berita Harian, as a rival to the Jawi-script Utusan Melayu on Jul 1. It was priced at 15 sen with only 8 staff operating the paper. The acquisition of the printing business company in the Federation of Malaya, known as The Caxton Press (1957) Ltd to enable the printing of newspaper in Malaya. The Straits Times Press Ltd rationalised its activities in the Federation of Malaya and Singapore. The Company transferred its newspaper operations to the Malay Mail Press Company Ltd, which was registered in Malaya. All its land and buildings in Singapore were transferred to a wholly-owned property company, the Straits Times Press (Singapore) Limited. 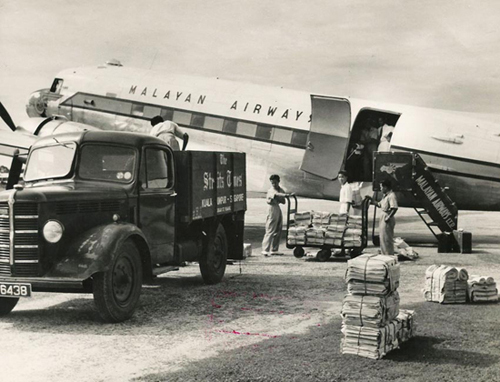 The Malay Mail Press Company Ltd became a public company and changed its name to the Straits Times Press (Malaya) Ltd. Printing operations were carried out both in Kuala Lumpur and Singapore, with the headquarters at Robson House in Pudu Road, Kuala Lumpur. 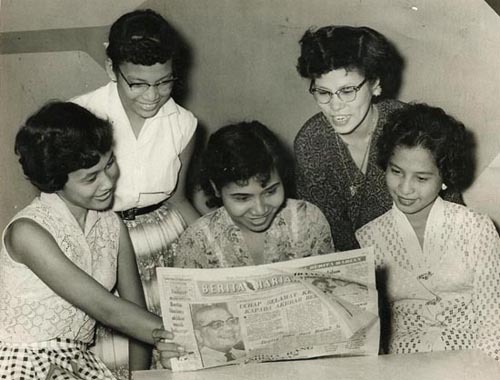 On Jul 10, Berita Minggu, the first romanised Malay Sunday newspaper, was launched. The Straits Times (Malaya) Limited changed its name to The Straits Times (Malaya) Berhad, in line with the new Companies Act, which was passed in 1965 and came into force in Malaysia in 1966. The Straits Times Press (Malaya) Berhad moved from Jalan Pudu to Balai Berita, Bangsar. The Straits Times Press (Malaya) Berhad transferred the Malaysian newspaper business, together with its related assets and liabilities to a wholly-owned subsidiary, The New Straits Times Press (Malaysia) Sdn Bhd (NSTP) (previously known as The Caxton (1957) Sdn Bhd). The Straits Times Press (Malaya) Berhad ceased to be the holding company of The New Straits Times Press (Malaysia) Sdn Bhd on Oct 14, after the Fleet Group Sdn Bhd took over the operations. Web-offset printing press was introduced to replace the rotary letterpress machine. Five units of Goss Metro web-offset were commissioned in Balai Berita, Bangsar in September, followed by another five to cater for the newspaper growth and to print multiple newspapers. It was designed to produce well printed and neatly folded newspapers at a maximum running speed of 60,000 copies per hour to meet the needs of medium and large-sized daily newspapers. It was a flexible press for printing spot colour or full-colour up to 32 pages. NSTP became a public company and assumed its new name, The New Straits Times Press (Malaysia) Berhad, on Jan 31. NSTP was listed on the Main Board of the Kuala Lumpur Stock Exchange (KLSE) on Apr 4. On Aug 13, The Straits Times newspaper changed its name to the New Straits Times. The Company purchased the Photon Mark II Pacesetter, (a microdata photocomposition machine) to replace the traditional hot-metal typesetting. This photocomposition machine was a high speed typesetting machine that produced justified or unjustified text on photosensitive paper or film, at a speed of approximately 90 newspaper lines a minute. From September onwards advertisements in the NSTP Group of publications started using metric measurements. In June, NSTP moved into electronic pre-press operations when the Copy Processing System (CPS) was installed. 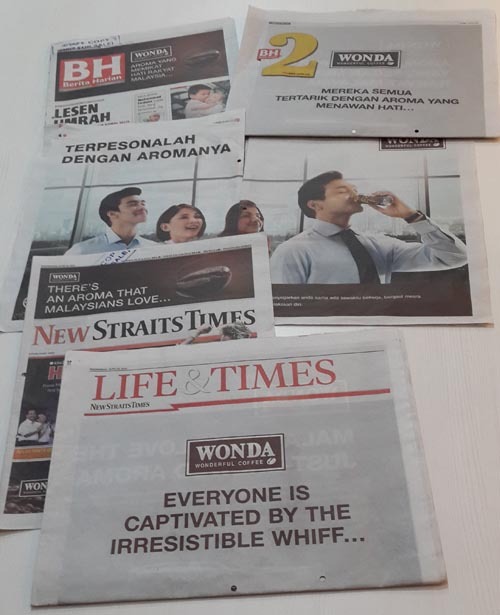 The first local financial newspaper called Business Times, a 12-page broadsheet, was published by a wholly-owned subsidiary Financial Publications Sdn Bhd on Oct 4. 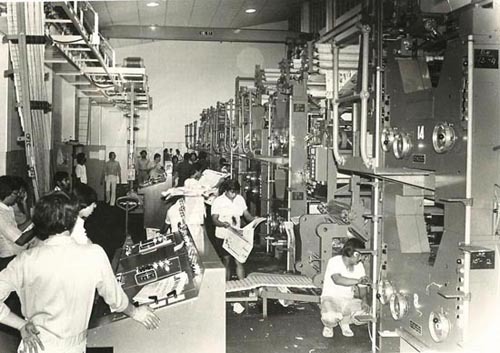 First regional newspaper printing plant was set up in Prai, Penang to serve the northern region. The pressline commissioned was Goss Urbanite-Offset. The negatives were sent in flong box via a chartered Cessna aircraft from Kuala Lumpur. This printing plant commenced production in June. The first flat bed laserite facsimile transmission system in South East Asia was installed at Balai Berita, Bangsar to allow pages made up at Balai Berita to be transmitted via microwave link to the regional plants. A second regional printing plant was set up in Senai, Johor in June to serve the southern region. In September, the microwave facsimile transmission of page films from Balai Berita, Kuala Lumpur to regional printing plants was introduced. 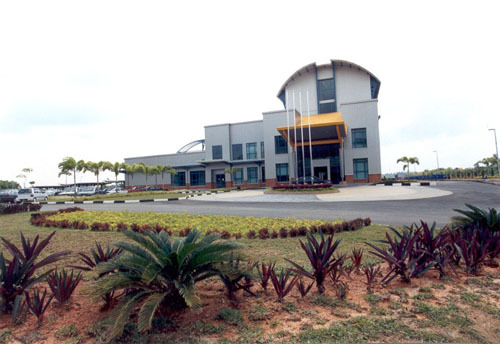 The Atex electronic publishing system was introduced in Balai Berita, marking the full-scale introduction of computers into the Malaysian newspaper operations. 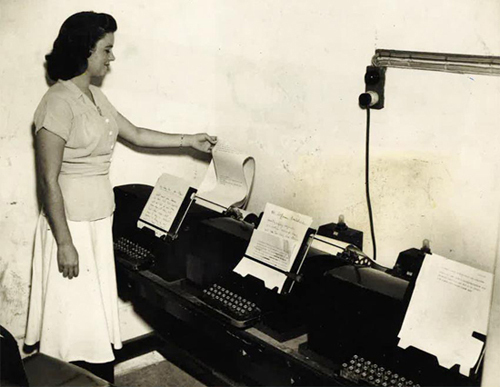 The computer system was not only for editorial copy writing, correction and sub-editing, but also for classifieds, where typesetting was done by computer. 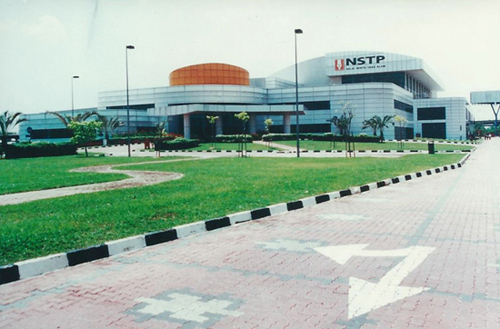 NSTP’s offices in the various states and its regional plants were also linked by a computer network. Beriteks system was launched on Jan 1. NST Newspaper in Education (NIE) was launched on Jan 6 by Minister of Education Datuk Abdullah Ahmad Badawi. NSTP acquired 70% shares in Shin Min Daily News (M) Sdn Bhd – the third largest Chinese language newspaper in Malaysia in June. Berita Harian’s Akhbar Dalam Darjah (ADD) was launched on Jun 29. The northern edition of the NST was launched on Nov 4. The third regional printing plant was opened in Dungun on May 1. On Aug 11, the southern edition of NST was launched, followed by the eastern edition on Oct 17. On Jan 18, Shin Min Daily News made history by being the first Chinese daily to be published in a tabloid format. In July & August, NSTP acquired the Uniman 4/2 Web-Offset Presses, manufactured by MAN-Roland of Germany for greater flexibility in colour placements in the newspaper and they were able to run at high speed to print 60,000 copies of newspaper in an hour. NTSP’s Library On-line was initiated as an on-line reference service containing full-text newspaper stories and information on companies, personalities and countries. On March 25, Harian Metro, the country’s first afternoon Bahasa Malaysia paper, was launched. The price was 50 sen.
Sri Pena, NSTP’s Training centre at Port Dickson, was officially opened to the Group’s employees on Dec 7. The inauguration of the new extension of Balai Berita, Bangsar on Jan 21. On March 25, the southern edition of Harian Metro was launched in Johor Bahru. NSTP On-line was made available for subscription by members of the public in February. Four members of senior management operating under Realmild Sdn Bhd staged a management buyout which later resulted in MRCB taking over NSTP and STMB (TV3) from Renong Berhad. The buyout exercise was completed on Jun 25. Launch of Minda Pelajar on Dec 4. 50,000 issues were printed weekly at RM0.70 per issue. 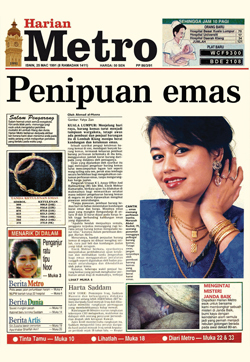 On May 16, Harian Metro Edisi Timur was launched. On Aug 1, Harian Metro Edisi Utara was launched. The first issue of Didik, a weekly education tabloid, was published on Dec 19 with a cover price of RM0.70. 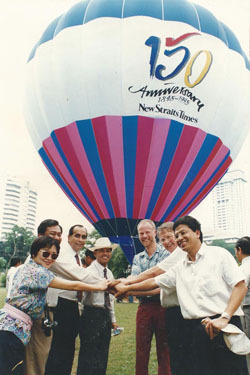 NST celebrated its 150 years of anniversary with a Hot Air Balloon Festival. On Aug 19, Metro Ahad was officially launched and the first issue hit the streets the following day. Joran, a pullout in Berita Harian for anglers, was launched on Oct 4. On Sep 10, NSTP launched its interactive online news services, NSTP Interactive (NSTPi), which was accessible via the World Wide Web. NSTPi went live on the Internet on October 1997 in conjunction with the Budget 1998 announcement. NSTP ventured into outdoor advertising under NST Outdoor Sdn Bhd. On Sep 19, Cars, Bikes and Trucks, a weekly pullout in New Sunday Times, was launched. The KBA press upgrade programme for Senai Regional Printing Plant (RPP) was completed in May. The press line, the KBA Commander press, was the first of its kind to be used by a newspaper publisher in the region. Dubbed the “Rolls Royce of Presses”, it utilised German technology. The KBA Commander Press could print a maximum of 80,000 copies per hour and back-to-back full colour printing. Klang Valley printing operations were relocated from Bangsar to Balai Berita Shah Alam with four KBA Commanders press lines being installed. The KBA presslines in Balai Berita Prai were also commissioned in December. On Feb 1, NSTP e-Media Sdn Bhd, a wholly owned subsidiary of NSTP, was incorporated to manage the operations and marketing of NSTP on-line news archive services and on-line products to subscribers. On Apr 22, official opening of Balai Berita Senai in Johor. Balai Berita Senai is the first of NSTP Group’s four printing plants to be equipped with the new machineries – the Koenig & Bauer Albert (KBA) Commander printing press and Idab Wamac mailroom system. Idab Wamac mailroom system is a sophisticated material handling system, which can automatically insert the preprinted products into the newspaper during printing. On Jun 28, NSTP entered into a Share Sale and Purchase Agreement with Alaf Positif Sdn Bhd to dispose of its entire 100 % equity stake in Berita Publishing Sdn Bhd. On Oct 9, the Company completed the disposal of Berita Publishing to Alaf Positif. In February, the regional printing plant in Ajil, Terengganu was commissioned to replace the printing plant in Dungun. Malaysian Resources Corporation Berhad (MRCB) on Oct 8, announced a proposed divesting of its media subsidiaries Sistem Televisyen Malaysia Berhad (TV3) and NSTP under a company called Profitune. In April, NSTP completed the disposal of its 140 million shares in Commerce Asset-Holding Berhad (CAHB) for RM910 million to the Employees Provident Fund. The disposal enabled NSTP to focus on its newspaper publishing business. On Jun 1, the Business Times was incorporated into NST to give added value to readers of both publications. On Oct 6, Profitune Bhd changed its name to Media Prima Berhad. In August, the transfer of MRCB’s entire 43.5% share in NSTP to Media Prima Bhd was completed. On Oct 22, Media Prima Berhad, a major shareholder of NSTP, was listed on the KLSE in place of TV3, upon completion of the restructuring of TV3 and the reorganization of MRCB. 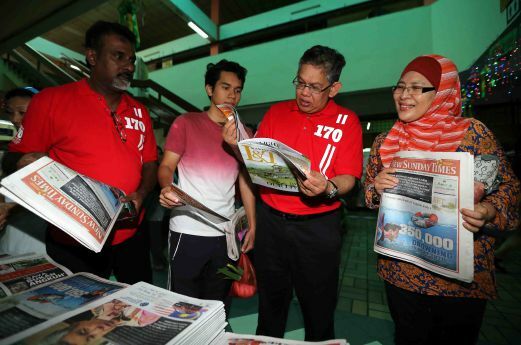 On Aug 23, NST became the first national English daily to be available in digital format. 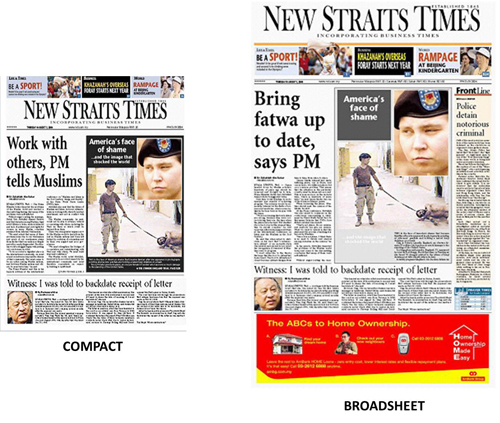 On Sep 1, NST was published in two different formats, broadsheet and tabloid. An initial 50,000 copies of the tabloid-sized version hit the streets in the Klang Valley on this date. On Oct 1, NST compact was made available nationwide, followed by NSunT on Oct 3. On Oct 13, Online advertisement booking system was put in place via http://nstpclassifieds.nstp.com.my, to make it easier for advertisers to place their classified ads. After 160 years, NST ceased publishing its broadsheet versions. The last issue of the broadsheet version was on Apr 16. On Apr 17, the NSunT was printed totally in the new compact version with a new masthead. This was followed by NST the next day, also with a new masthead. On Apr 10, RakanBH was launched. It is an interactive community service for Berita Harian readers to send or receive news through their cell phone. On Jun 6, i-Metro, an interactive portal providing HM readers a chance to be the eyes and ears of their community was launched. On Jan 5, NSTP sold off its subsidiary, Malay Mail Sdn Bhd, to Dynahall Sdn Bhd. On Jul 6, Berita Minggu went compact after 51 years as a broadsheet. Subsequently on Jul 7, Berita Harian was published in compact version. On Aug 27, NSTP 1klassified was published. The bilingual 1klassifieds are available daily in NSTP’s three main newspapers – New Straits Times, Berita Harian and Harian Metro. On Dec 18, Computer-to-plate (CTP) system was installed and was officially completed on May 27, 2009. Three CTPs were installed as a direct replacement for the three KNF (Computer –To-Film) lines in BBSA for the pre-press plate making process. The CTP shortens the pre-press process flow by eliminating the film process flow (no more films involved in the process). This will eliminate the usage of films and also the chemicals involved to process the films. On Oct 16, Media Prima Berhad announced its intention to make an offer to NSTP minority shareholders to buy all NSTP shares it did not already own. On Nov 12, Media Prima Bhd revised upwards its takeover offer for NSTP. MPB announced its proposal to increase the offer price of each NSTP share to RM2.40 from RM2 previously offered. On Sep 14, Media Prima Bhd, the country’s leading media group, owned 97.86 per cent of NSTP. On March 5, Harian Metro Sabah edition was pre-launched with the first issue of Metro Ahad available in the market on Mac 6. The move was one year after the newspaper launched its combined Sarawak/Sabah edition (SSB). 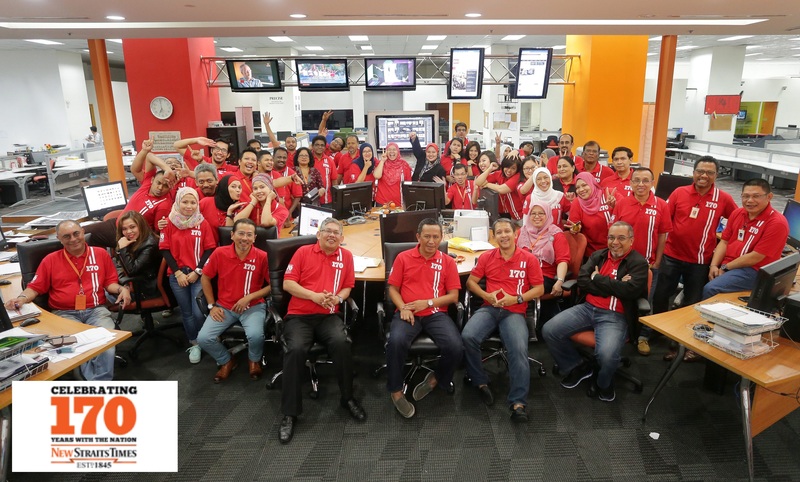 Harian Metro celebrated its 20th Anniversary with a series of activities. Among them were Jelajah Harian Metro, Pameran Foto, Gempak Santai Harian Metro and Konsert Terima kasih Harian Metro on Mac 26 & 27. The iPad edition for Harian Metro was launched in March, followed by NST in April and BH in July. On Nov 11, NST was revamped with a new masthead. In conjunction with its revamp, NST became the first newspaper in Malaysia to launch a 3D edition. 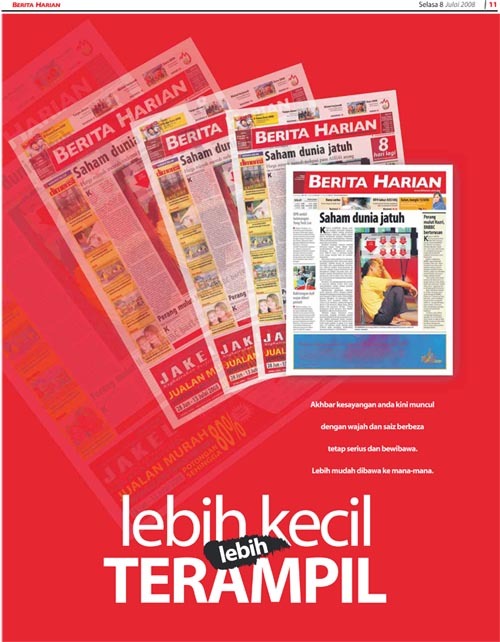 Berita Harian launched both its Sabah and Sarawak edition on Jan 8. The regional edition was printed in Kuching and Kota Kinabalu with the aim to speed up the time for the newspaper to be available in the market. NST produced the first Malaysia’s talking newspaper on Feb 21. A QR code was placed within the articles in the newspaper which enabled readers to listen to a recording of the articles or advertisements. 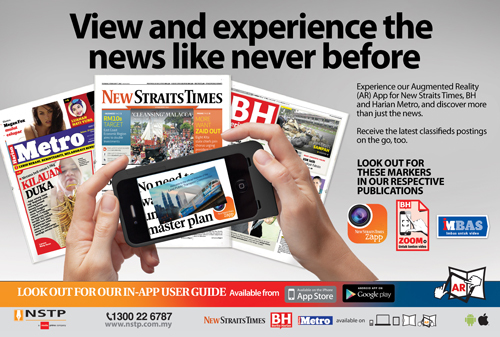 The digital version of NST, BH and HM was launched on Jun 15 enabling readers to access the newspaper at anytime, anywhere. Conjunction with its 55th anniversary, a revamp was carried out for Berita Harian. 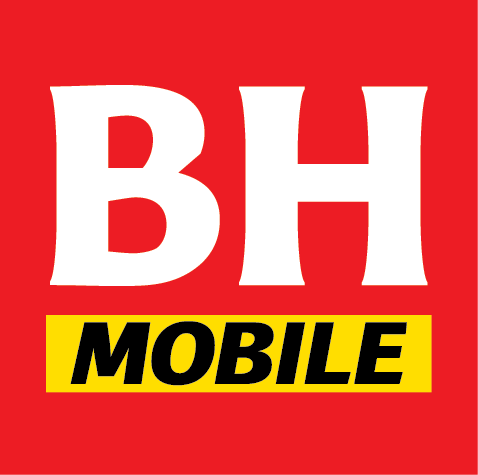 On July 1, Berita Harian name was changed to ‘BH’, an acronym for Berita Harian. The design of the masthead as well as the layout and content of BH were also changed during the revamp. BH created history by carving a name in the Malaysia Book of Records on July 20 for the longest running entertainment show – Anugerah Bintang Popular Berita Harian 2011. The new printing complex of NSTP’s regional printing plant in Pulau Pinang, Balai Berita Prai was launched by Yang di-Pertua Negeri of Pulau Pinang on Oct 10. 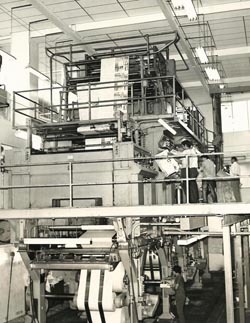 The plant, which was opened in Jun 1978, underwent another renovation in 1999 to accommodate the new KBA Commander press. 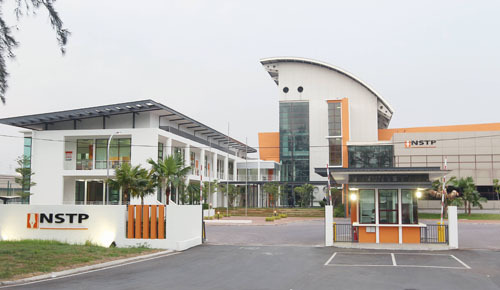 The renovation in 2012 provided a new office area, cafeteria, surau, gymnasium and guest reception area. On Jan 6, Harian Metro was revamped with a new masthead, layout, content and tagline, “Melangkaui Sensasi” (Beyond Sensation). An aggressive marketing campaign was carried out with the tagline “Lagi Gempak”. Harian Metro recorded the highest sales in a day in history by selling 602,005 copies with the issue on May 6. This was a day after the 13th General Election. 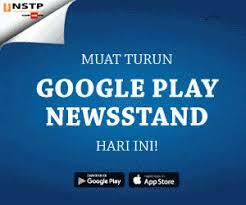 NSTP Augmented Reality application was launched on Sep 16 for all of its three newspapers, NST, BH and Harian Metro. On Nov 30, Harian Metro launched its Syok Sabtu Harian Metro initiative as a new, creative way to enhance its role as a reader friendly newspaper with new interesting columns such as MS2- a magazine- style supplement with articles on current lifestyle. In conjunction with Syok Sabtu’s Launch, Harian Metro also orchestrated a one day contest, Lagi Mudah Menang, offering cash prizes worth RM300,000 for 121 lucky readers. 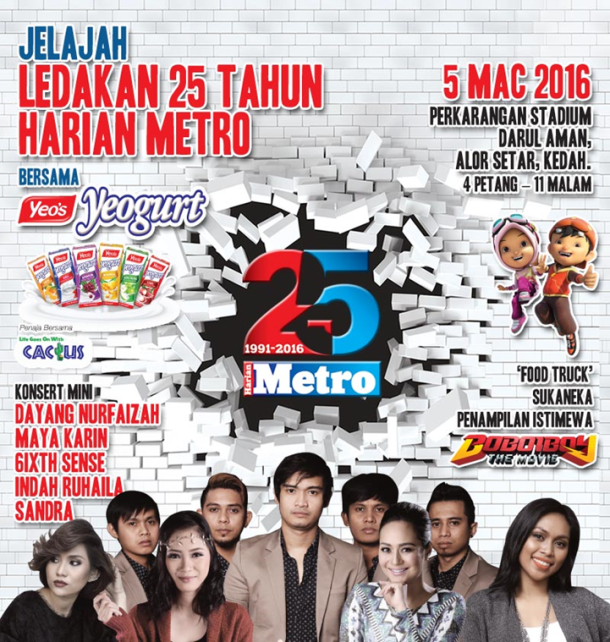 The Syok Sabtu Harian Metro campaign aimed to sell more than 1.1 million copies of Harian Metro across the nation. On Jan 12, BH unveiled the new look and content in its Sunday edition, BH Ahad. The new look incorporated a new layout design, where readers could expect more infographics and larger photographs. The revamp included more sections on human interest, sports, and exclusive stories, and interesting topics in its religion column. A new pullout, BH2 was introduced in BH daily starting from Jan 13. NST 5D sensory campaign that engages its readers through their five senses of sight, sound, smell, touch and taste was held for five days from Jan 20 to 24. The campaign was run with the launch of Wonda, a Japanese premium ready-to-drink coffee from Permanis Sandilands. 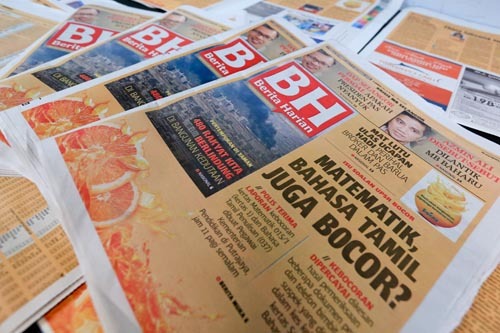 On Jan 28, BH unveiled the refreshed look and content of Minda pullout. On May 4, Harian Metro launched a new look for its Metro Ahad. The Sunday paper also featured a new columns; Teropong Jenayah, Zikir Zindagi by Ustaz Haslin Baharim or better known as Ustaz Bollywood and a gossip column Cik Pang. A new pullout Expresi Metro Ahad or MAX was also introduced to reach the youth. On May 22, NSTP received ‘5S’ certification from Malaysia Productivity Corporation for its printing plant in Bukit Jelutong, Shah Alam. This marked NSTP to officially become the first newspaper publishing company to be ‘5S’ certified. From June 23 to 27, the New Straits Times and BH unveiled a new advertising campaign for Permanis Sandilands’ Japanese premium ready-to-drink coffee. During the first two days, the New Straits Times and BH were clothed in broadsheet wrap-around using wood-free 70 gramme paper. 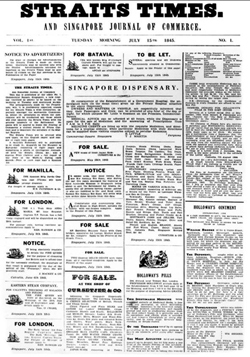 In addition, the newspapers’ Life & Times and BH2 sections were also printed in broadsheet size, with the advertisement wrapping it, for five consecutive days. From Wednesday to Friday, the newspapers featured creative cover advertisement in their main section. On 22 September, the New Straits Times and BH don oranged-coloured pages for the first time ever in conjunction with the Tropicana Twister’s week long Tropicana Festival. Permanis Sandilands Sdn Bhd, the distributor of Tropicana products was collaborated with both newspapers to advertise the event as a means of rewarding consumers for making Tropicana Twister the nation’s number one juice brand since 2008, and to highlight the goodness of fruit juices. ZIP (which stands for Zon Interaktif Persona), a lifestyle e-magazine focusing on entertainment, fashion, travel, leisure, trendy sports and feature in the country was officially launched on March 1. 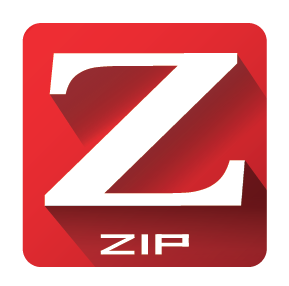 Designed for smartphones and tablets users, ZIP was well-received by advertisers who love its video window as actual TV commercials can be uploaded as opposed to using static print advertisements. Also available for free since its official launch on March 1, BH PLUS was the latest news segment and digital content for BH and BH Ahad which also available on the news portal BH Online and mobile platforms. 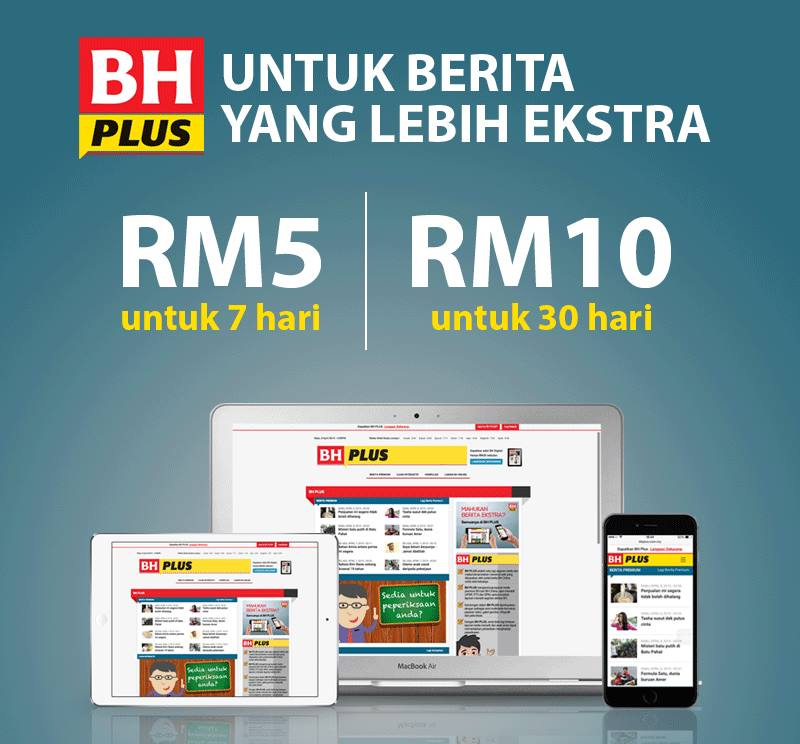 BH PLUS had introduced a paywall effective April 6, offering premium news and reports, as well as a compilation of the best news report from BH print newspaper. Videos, photos, infographics and location maps were also added to enrich reader’s experience. On March 18, NSTP’s printing plant in Terengganu, Balai Berita Ajil received ‘5S’ certification from Malaysia Productivity Corporation, making it the second newspaper printing plant in Malaysia to obtain ‘5S’ after BB Shah Alam. This was followed by NSTP’s printing plant in Johor, Balai Berita Senai on March 24 and finally Balai Berita Prai in Penang on March 25. From July 15 onwards, a series of modest but impactful campaigns were held in conjunction with NST’s 170th year celebrations. Running as the country’s oldest newspaper, the campaign was to reinforce NST’s position as a newspaper that continuously places importance of integrity, quality and relevance as its utmost brand essence. 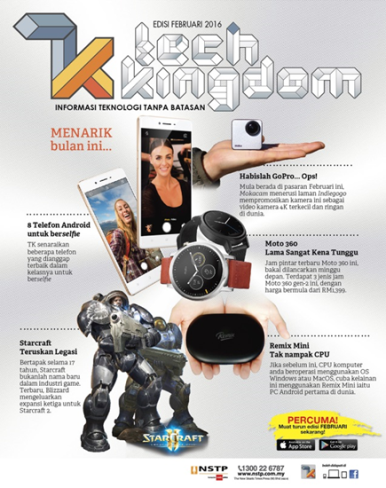 On July 16, NSTP launched a technology-based infotainment e-magazine Tech Kingdom which focuses to provide the latest on gadgets, electronics, devices, smartphones, games and other technology applications. 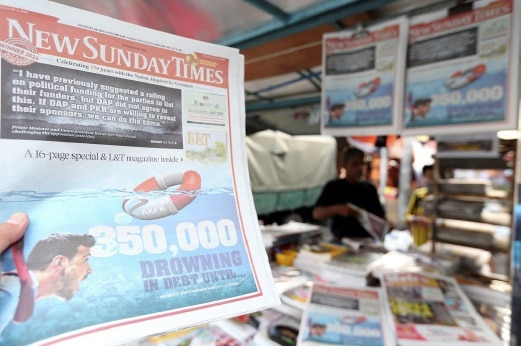 The NST’s Life & Times pull-out as well as the New Sunday Times had a design revamp, on August 2. The objective was to make it a more organised read with articles on current issues encompassing health, fashion, food, travel, entertainment, education and lifestyle to satisfy reader’s appetite for credible, quality content and information. Launched on September 10, NSTP tied-up with Google to offer news content from NST, BH and HM at Google Play Newsstand application as part of its ongoing efforts to expand brand presence. With the swipe of a finger, readers can access and browse full length articles, with beautiful images, audio and video from NSTP’s three titles right inside the app. 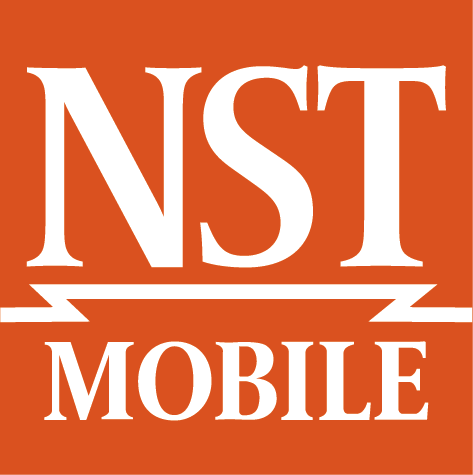 On October 21, NSTP launched three free mobile applications, known as NST Mobile, BH Mobile and HM Mobile to provide readers with snappy access to the latest news from its three popular newspapers. Through these apps, readers can easily search for news according to categories such as Malaysian news, world, business, sports, tech as well as lifestyle. 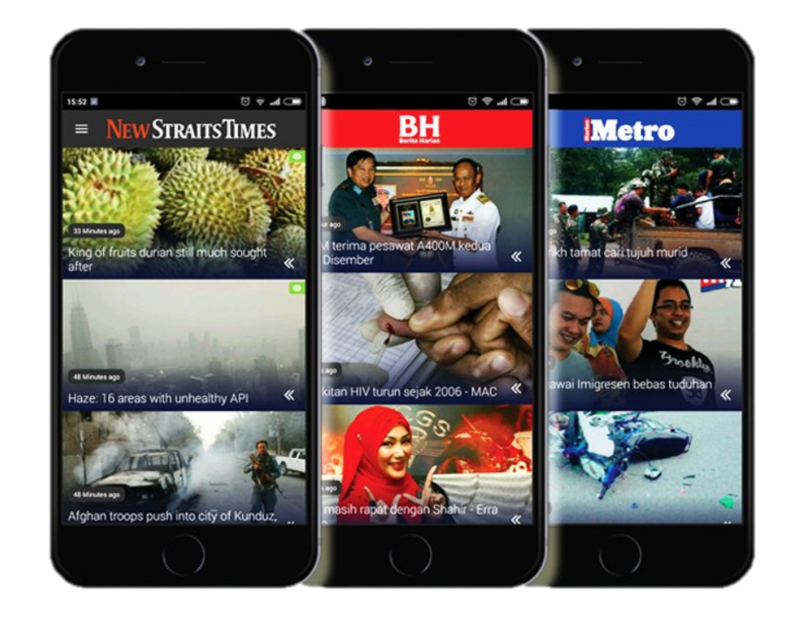 Facebook announced the beta launch of Instant Articles across Asia on December 3. NSTP was one of the signatories providing interactive and fast responsive news articles from its three titles to any Facebook users worldwide. Along with a faster experience, Instant Articles introduces a suite of interactive features that allow publishers to bring their stories to life in new ways. 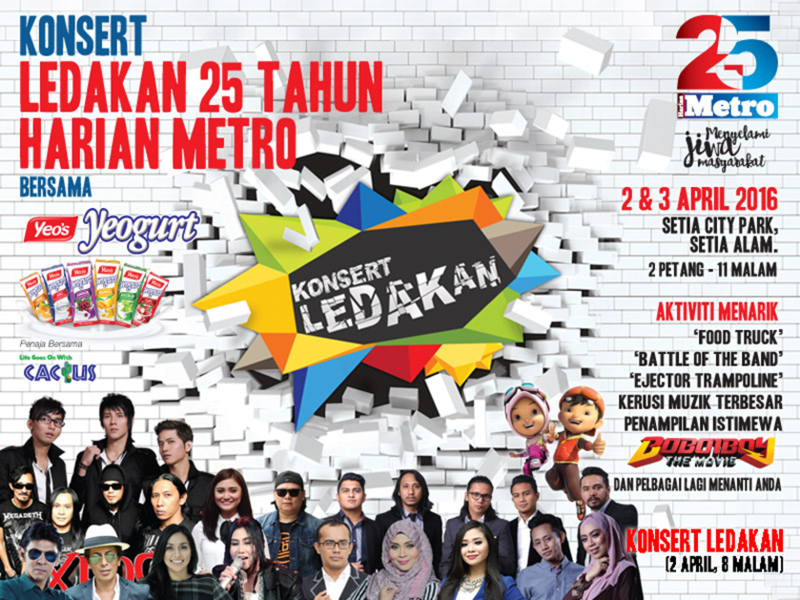 HM kicked off its 25 th anniversary celebrations by staging a road-show called “Jelajah Ledakan 25 Tahun Harian Metro”. The final concert and carnival was held at Setia City Park, Setia Alam, Selangor on April 2 and 3. In conjunction with its modest 25th Anniversary milestone in March, HM launched its online television called Metro TV featuring video content on news, features and entertainment such as Metro@7 andKalendar Jenayah. On March 21, NSTP launched the first issue of S&W (Speed & Wheels), a free monthly e-magazine in Bahasa featuring event reviews and updates, tips, products review and critics, guides and advise on vehicle related activities. HM was the first in the Media Prima Group to utilise Facebook live services by reporting an accident at MidValley on March 22. FB Live later became an integral tool providing customised content to suit NSTP’s audience. Dhiya, a specially dedicated free monthly Bahasa e-magazine for Muslim women with contents on fashion, health, beauty, religious issues and motivational life stories was introduced May 8. Dhiya is targeted to fit the lifestyle of hijab wearing women as young as the age of 18 to 45. 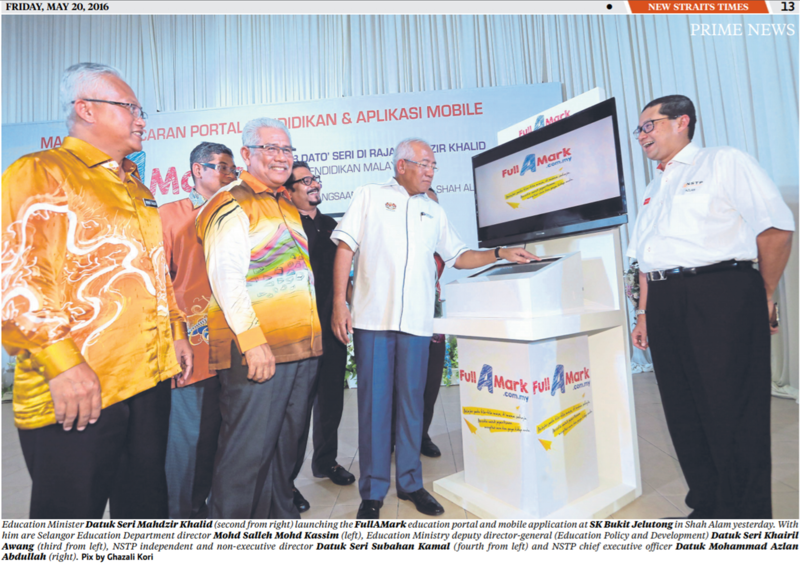 On May 16, an interactive education portal and mobile application leveraging on Malaysian major examinations; UPSR, PT3 and SPM called FullAMark was launched by the Minister of Education. The ceremony was held at SK Bukit Jelutong Shah Alam. The portal helps students practice new exercise every week and also make exercise intensively and practically every week. The exercises provided are based on the syllabus and latest assessment set by the Examination Board and prepared by the writers of the educational pullout of BH newspapers- DIDIK, MINDA and SKOR and educational pullout of NST, New School Times. L.E.T, which stands for Lifestyle, Entertainment and Travel is NSTP’s first English e-magazine and was launched on June 1. Targeting readers aged 20 years and above, the ‘Lifestyle’ section features varied topics skewed towards personalities and luxury; ‘Entertainment’ focuses both local and foreign talents while ‘Travel’ covers destinations of interest mainly to high society travellers. On June 1, NSTP Art Gallery (founded in 1994) was moved to a newly transformed building (formerly of press printing hall) at Balai Berita Bangsar and renamed Galeri Prima. Under the wings of New Straits Times (NST), this has enabled NSTP to bring up the level of its artistic journey as the Galeri is not only a platform for art exhibition but also to house art trading and auction activities, including art workshops. 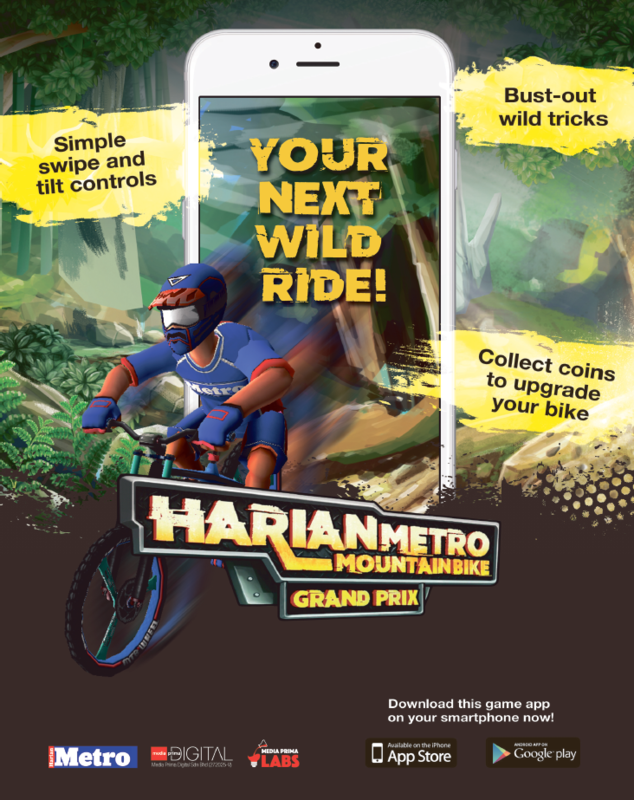 Launched on July 17, Harian Metro Mountain Bike Grand Prix App is a free game application developed based on Harian Metro Mountain Bike Grand Prix event organised by HM since 2013. The game enables mobile users to choose their own riders and bicycle designs as well as interesting range of realistic mountain biking trails. 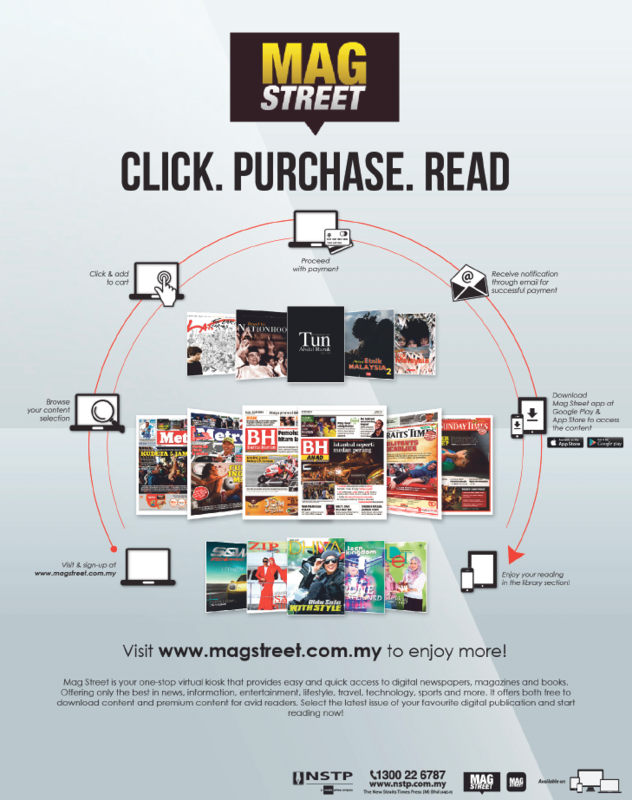 Mag Street which was launched on September 16, is NSTP’s owned content aggregator platform providing easy and quick access to e-magazine, digital news titles, education portal and mobile apps. 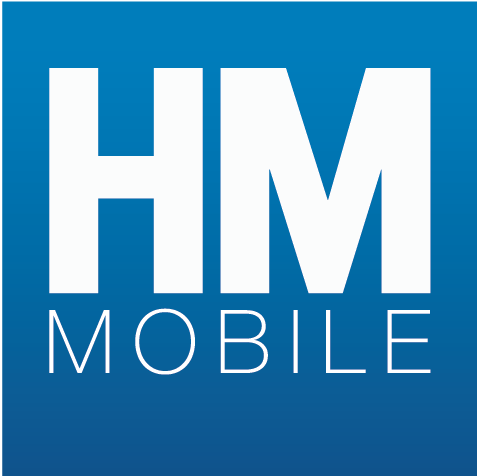 It connects readers to comprehensive and attractive digital contents that include entertainment, lifestyle, technology, news, auto and education. BHTV Capsule was introduced and aired on early September as another digital initiative by NSTP to allow readers to browse and watch videos on special interest topics such as Liga M & Bicara EPL, Jom Tanya Ustaz, Apa Kes?, IQ Didik, Viral and Soal Jawab via BH YouTube and BH Facebook.